If your company is branded, and your objective is to be easily found, use the name of your company. If you want more traffic through search, then opt for a generic domain, which is something short, easy to spell and easy to remember. If your selected domain name is already taken, then you might want to select a similar name with a differentiating factor. This can be an extra word (or words), synonym, a number or a different spelling. If you go with a unique name (like Google), you’ll have less direct competition, but you may have to market more in order to build your brand awareness. 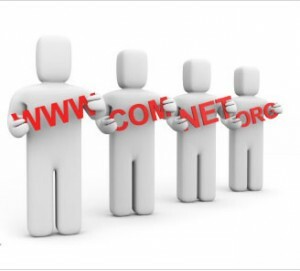 Register multiple domain names. You can choose to register multiple domain names that are similar to your original domain name or are common misspellings of your domain name. If visitors land on those other domains, you can then redirect them to your original site. Don’t cybersquat. Cybersquatting, also known as domain squatting, is the act of registering domain names with intent to profit from trademarks that belong to somebody else. Cybersquatters will attempt to sell domain names to the person who owns the trademark(s) at an inflated price. It is a federal offense. Also be aware that people do this all the time and you are protected by law if it happens to you. Don’t let your domain registration expire. Domain name registrations are like any other registrations—they expire after a certain time. If you don’t re-register your domain name with an Internet registrar before the registration expires, then cybersquatters may purchase your domain name after it expires and do what they will with it. There are tools available that automate the purchase of expired domain names once they’ve expired. The standard computer screen size resolution is 1024 x 768. If you are creating a custom layout with HTML/CSS, be sure to design your layout for this size. Both 1&1’s and Shopify’s pre-designed templates have already been designed for this size. Seventy percent of web users use Internet Explorer. If you are creating a custom layout with HTML/CSS, make sure that your design looks the same in all browsers, but, most importantly, Internet Explorer. Most website builders’ pre-designed templates are intended to work with any browser, including FireFox, Safari and Internet Explorer. Pick a layout that has top navigation bar, which is underneath the header, or a left-hand navigation bar. Typical web users are used to seeing nav bars here. Pick fonts that are easy to read, and check that your text is big enough to read. A good rule of thumb is font size 12. Avoid certain color combinations. Brightly colored text does not go with a brightly colored background, and black font doesn’t go on a photo with several black spots. Choose colors that complement your company image. For example, dentists want to choose soothing colors to show visitors that their office is comfortable and inviting. Reserve “loud colors” for things you want to highlight on your website, such as calls to action or a special discount. Include your logo somewhere in the header, and link it to your homepage. If you are using a solid color background for your header, try to match the background of your logo to the same color so that it blends nicely. Re-size images for the web. Depending on what photo editing software you use, there is usually a save setting for the web. Optimizing your images for the web decreases page load time, and ensures that visitors can see your website no matter the speed of their Internet connection. Your message/brand image/etc. should be the first thing people see when they come to your homepage. Keep everything above the fold, which is the space people see without having to scroll down. Feature your best work on the homepage. Calls to action should be prominently displayed. Don’t make people go to your contact page to find your contact information. If you are trying to index your homepage for a specific search term, use keywords in the main content as well as have matching h1s, h2s, title tags and a nav bar menu item with a keyword as a link back to the homepage on other pages within your site. 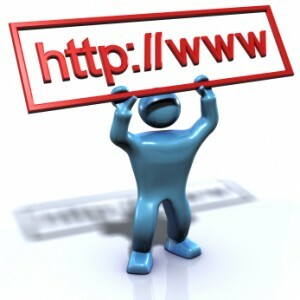 See our promoting your website section for more information on how to index your site for a search term. Put a picture of your storefront on the Contact page. It gives people a visual of what they’re looking for when they try to find you for the first time. Be sure to include multiple ways of contact to make it easy for visitors to contact you, including a phone number, fax number, email address, physical address, social networking accounts, etc. Double-check that the address and phone number are correct. It sounds stupid, but this is commonly overlooked. Limit your main nav to five links or less. If you need additional links, use sub-navs. Sub-navs are great if the page you are directing visitors to has several layers of content that needs to be broken up. For example, if you are a bed and breakfast, the About page might include sub-nav links for location, rooms, breakfast and services. Use standard terminology, such as About and Contact, when naming menu items on your nav bar. Do not try to be cute. Finished customizing your website? Check out these Free Website Tools – Click Here!